It's easy to forget sometimes that in the grand scheme of things, photography is a relatively new art form. That's compared to other artf orms like sculpture and painting, and that's certainly compared to the earliest art forms like cave paintings that date to thousands and thousands of years ago. To say that photography has changed a lot in the last couple of centuries is certainly an understatement. Here are 14 moments that have shaped and changed the world of photography in one way or another. When talking about the first fixed image created by a camera, that credit is given to Joseph Nicephore Niepce. His tool of choice was a camera obscura that was fitted with a plate coated in pewter. That plate was exposed for a whopping eight hours, creating an image of Niepce's view of the courtyard outside his home, shown above. The image, taken in 1826 or 1827, was titled View From the Window at Le Gras. Once the exposure was complete, he used a mixture of white petroleum and lavender oil to render the photo in a process he would later call heliography. The next step in the evolution of photography was the development of the Daguerreotype process, which was invented in 1829 by French painter Louis Daguerre. 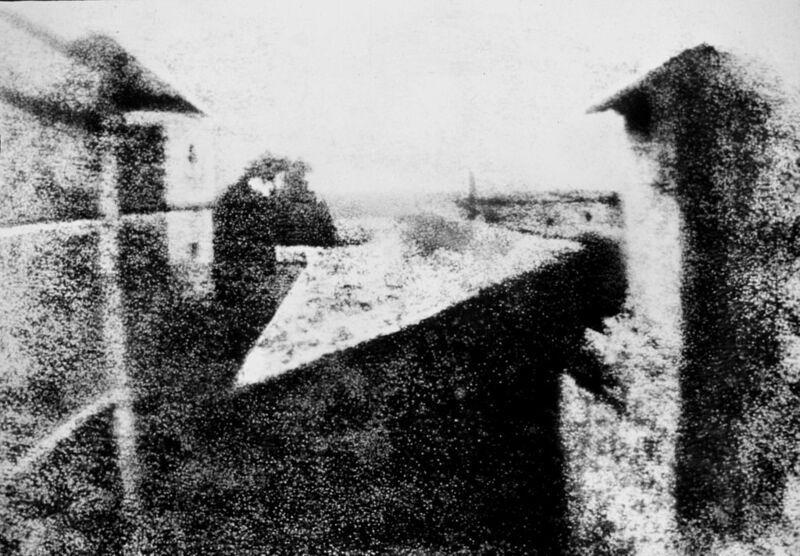 Daguerre worked with Niepce to figure out a way to reduce the incredibly long exposure that was needed to get an image using the heliograph process. Eventually, Daguerre solved the problem by using copper plates that were coated in silver instead of using the pewter-coated plates Niepce used. 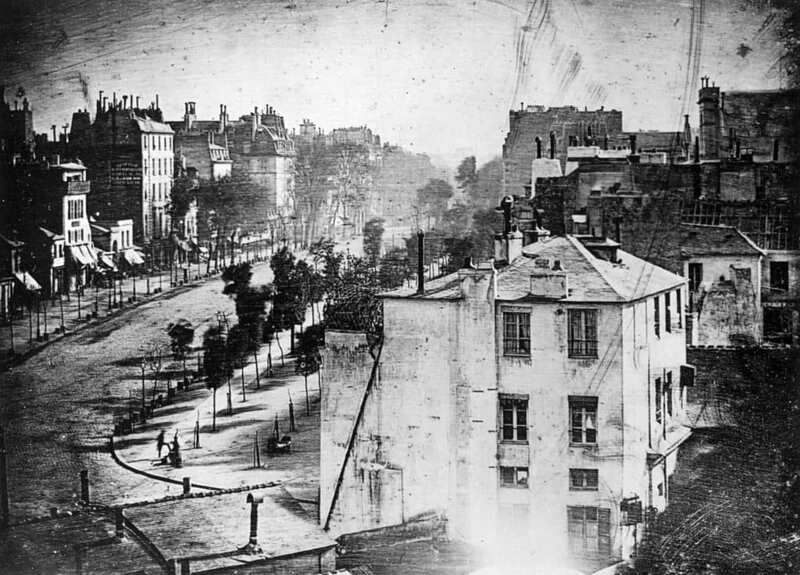 The shorter exposure times resulted in a much more subtle image, but by using a chemical mixture, Daguerre discovered that he could develop the latent image into one that was actually far more visible. Though he perfected the process throughout the 1830s, it wasn't until 1839 that Daguerre revealed his new method of photography to the world. 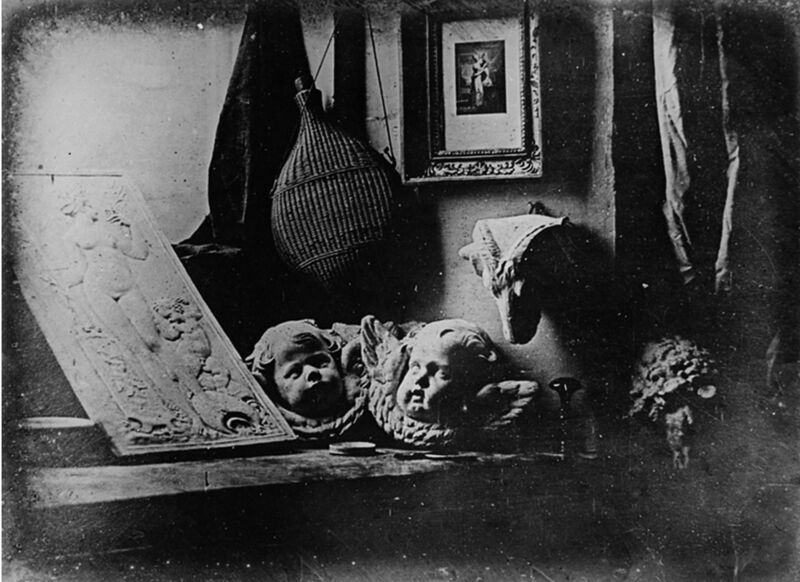 His photo, L’Atelier de l'artiste, shown above, was taken in 1837. Merely weeks after Louis Daguerre made his photography breakthrough known to the public, Fox Talbot, a British scientist, released news that he had devised a process of photography that relied not on metal plates, but on light-sensitive paper. Talbot had been working on the process for years, but it wasn't until the late 1830s that he discovered, by accident, the right chemical mixture needed to turn the paper into a negative that could in turn be used to make prints. In 1841, he went public with his work, calling it the calotype process. 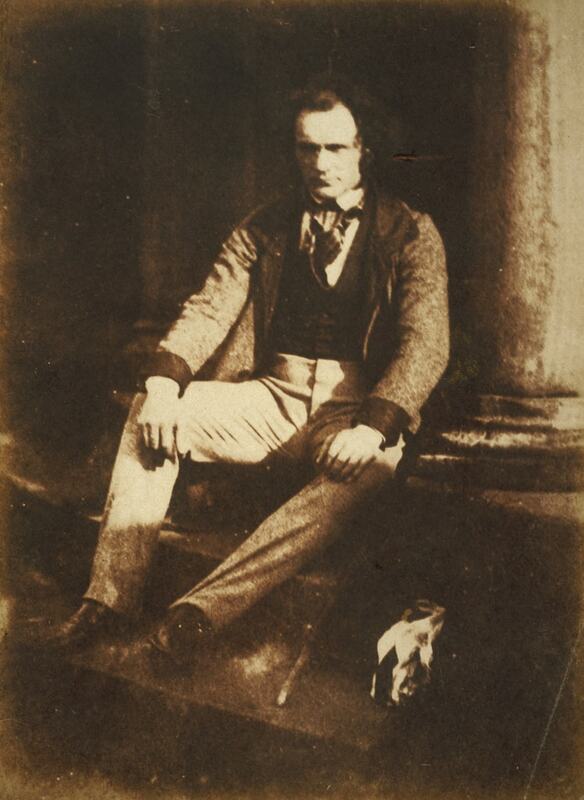 One of the earliest known calotypes (circa 1844), a portrait of Thomas Duncan, is shown above. In 1855, Roger Fenton was sent by the British government to document the events unfolding in the Crimean War. 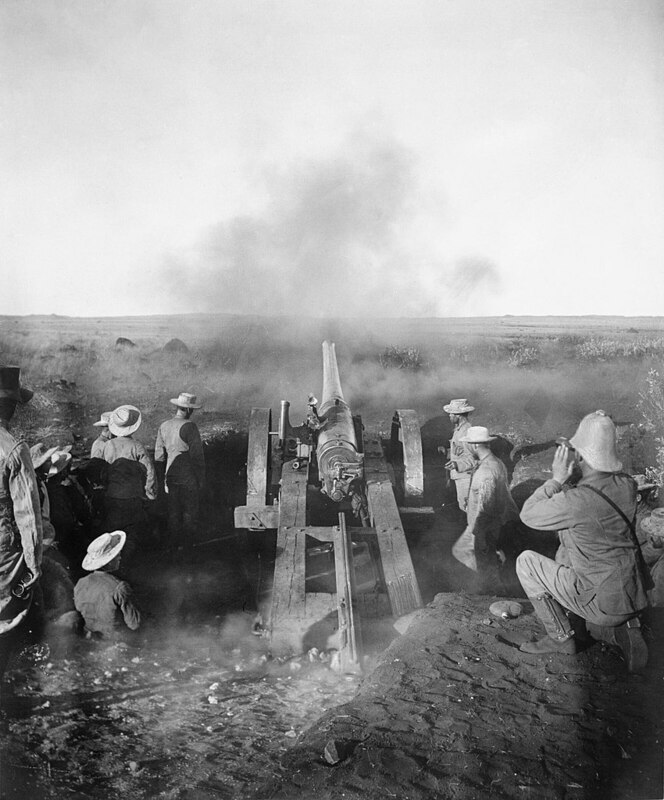 That action resulted in Fenton being the first war photographer in the world, and one of the first documentary photographers used to immortalize world-changing events in the field. As photographers covering the American Civil War would find out just a few years later, creating photos in the field was a laborious process that required a wagonfull of equipment and a mobile darkroom. Likewise, even though exposure times were lightning fast compared to the heliotype, they still weren't fast enough to capture action. As a result, Fenton photographed still portraits and landscapes, and never photographed soldiers that were injured or had died in battle. 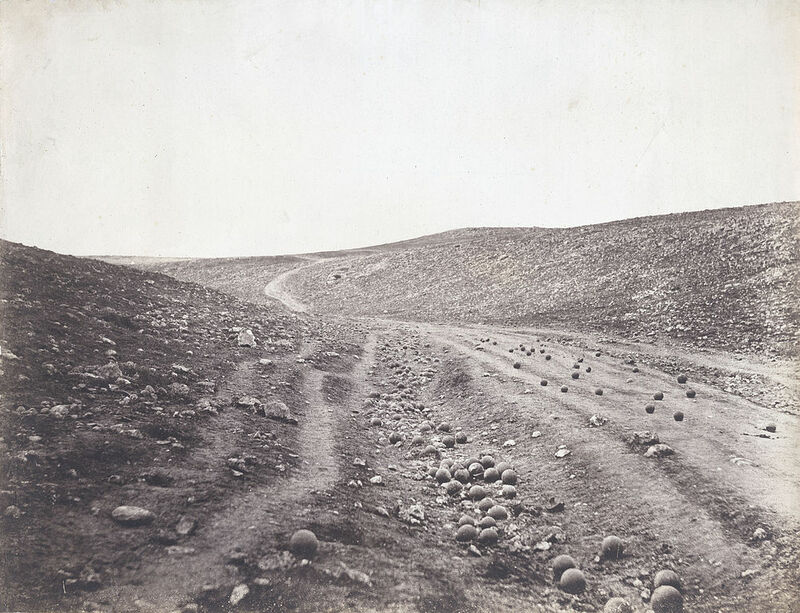 His photo above, taken in April 1855, is titled Valley of the Shadow of Death. In 1859, Jean Francois Gravelet (who performed under the name Charles Blondin) drew a crowd of thousands to the border between the United States and Canada to watch as he attempted to cross the Niagara River on a tightrope. Dispatched to the scene was William England, who at the time was serving as the London Stereoscopic Company's chief photographer. England's images immortalized Gravelet's 1100-foot walk across the tightrope in a series of stereoscopic images that were among the first to be internationally licensed for commercial use. After Kodak introduced the first simple-to-use publically available camera in 1889, George Eastman debuted transparent nitrocellulose film that came in rolls. Eastman's film rolls were in 70mm format, which Thomas Edison cut right down the middle to create a 35mm of film. Edison also cut perforations down both sides for easier advancement of the film from one frame to the next. Where Roger Fenton's portrayal of the Crimean War was "toned down" a bit and excluded the human toll that the war was taking, Reinhold Thiele took no such approach. After covering joyous events in England - among them Queen Victoria's Diamond Jubilee - and perfecting his photojournalistic approach to photography, he was sent by the London Daily Graphic newspaper to document the Second Boer War. But upon receipt of his images, the paper refused to print many of them due to their graphic nature and portrayal of the carnage that was occurring. As a result of the manner in which he documented events in a realistic manner, Thiele is considered one of the fathers of photojournalism. Oskar Barnack, a German engineer and amateur photographer, had a problem. His camera gear was way too heavy, especially in light of his poor health. He wanted to lighten his load by designing a smaller film camera that was easily transported. In 1913, he created his prototype (shown above), a 35mm still camera that used existing 35mm film for movies. 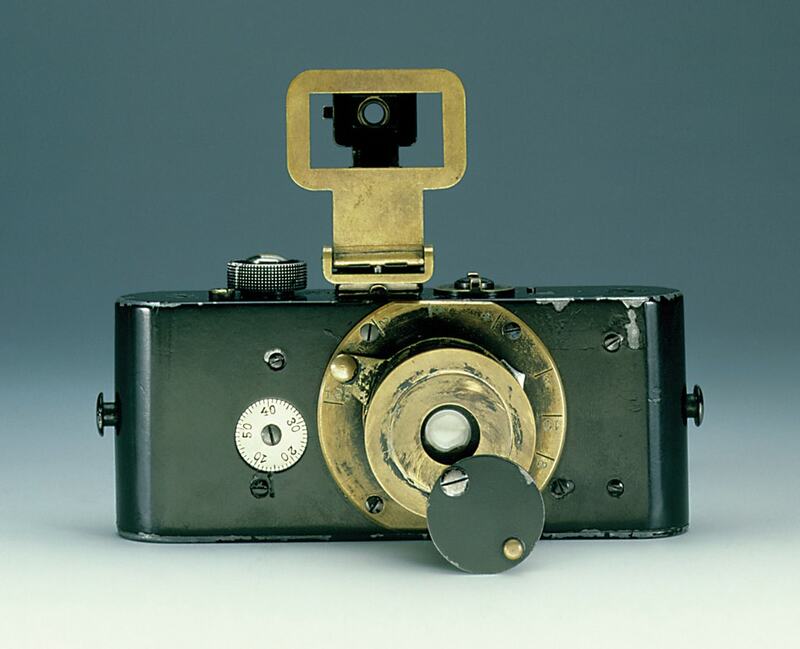 Over a decade later, in 1925, Barnack's camera became available to the public under the brand name Leica, making photography accessible to anyone who could afford it. Using a process called diffusion transfer, American physicist Dr. Edwin Land created a camera that could take, develop, and print a photo. The process required film that was both the film and the photo, which resulted in virtually instant photographic gratification. 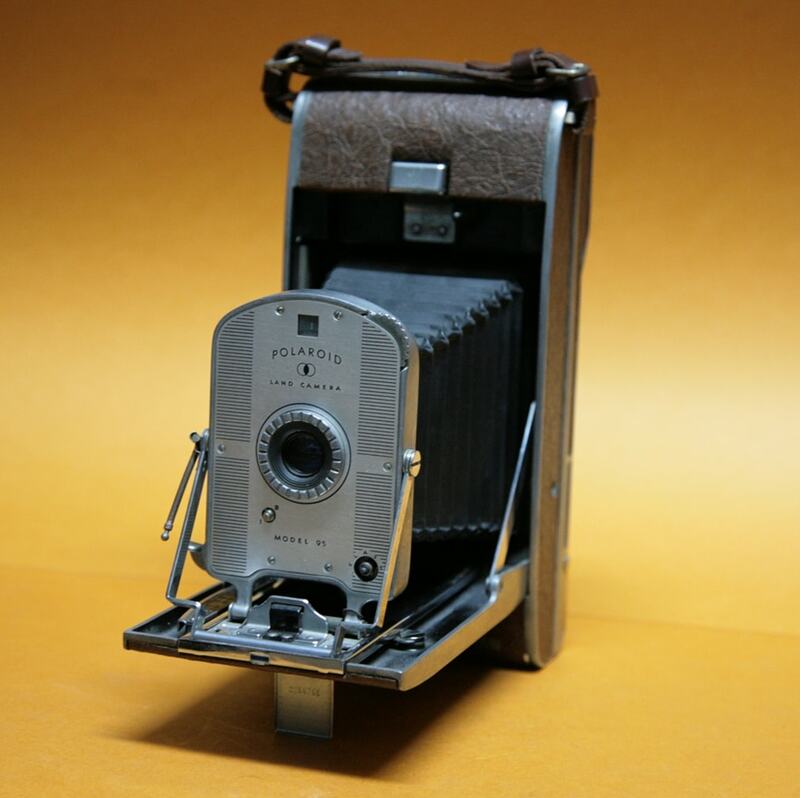 His Land Camera - the Polaroid Model 95 shown above - became available in 1948, ushering in the instant camera craze the Polaroid would make famous in the decades to come. One of the most influential photographers of the 20th Century, Henri Cartier-Bresson, started his photography career in earnest in 1947 when he started Magnum Photos, one of the most well-respected photo agencies of the time. Cartier-Bresson had a gift for depicting both the triumph and tragedy of human life. In his book, The Decisive Moment, he offered up 20 years of documentary images that gave people a glimpse at the best and worst in people. He also famously photographed the likes of Gandhi, Marilyn Monroe, Che Guevara, and many other influential figures of the time. If you asked someone when digital photography became a thing, it's doubtful they would say 1974. Yet, that's the year that Gareth Lloyd, a worker at Kodak, questioned the possibility of using a semiconductor to create an image sensor for a camera and asked Steven Sasson, an electrical engineer, if it could be done. In 1975, Sasson had what they wanted - a digital camera that converted image information into an electronic signal to be stored in the camera's onboard memory. It was a huge camera, weighing in at eight pounds, and its images were a paltry .01-megapixels. However, it was the start of a revolution of which we are still experiencing effects today. In 1991, Kodak released the first widely available digital camera, the Kodak DCS-100. 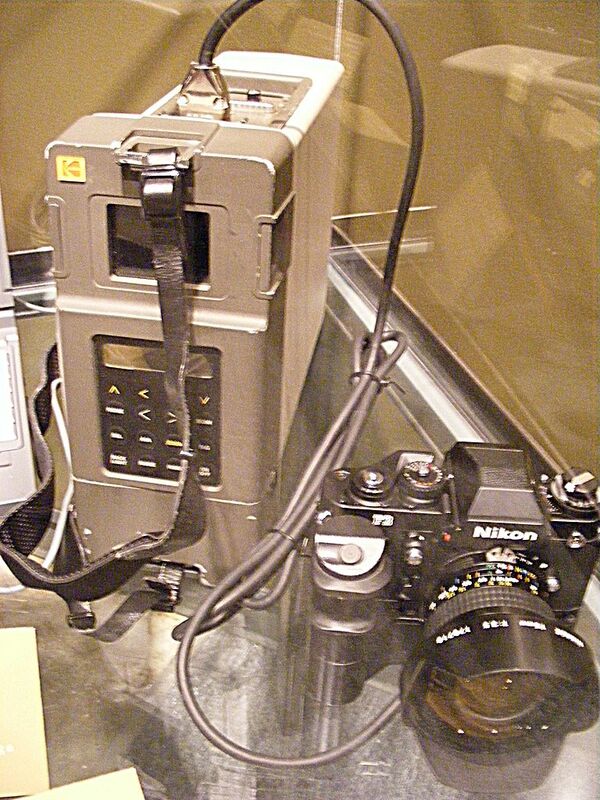 It had a 1.3-megapixel sensor in a modified Nikon F3 body and an external memory storage unit (shown above) that had a 200-megabyte capacity. That was good enough for 156 uncompressed images! It was spendy, though. At $13,000, it certainly wasn't a massive success, with less than 1,000 units sold. However, it ushered in the modern era of photography that we all enjoy today. As Nick Woodman discovered in 2002 on a surfing trip, it was difficult for amateur photographers to get high-quality action shots because the camera gear needed to do so was so expensive. Later that year, he founded GoPro to solve that problem. 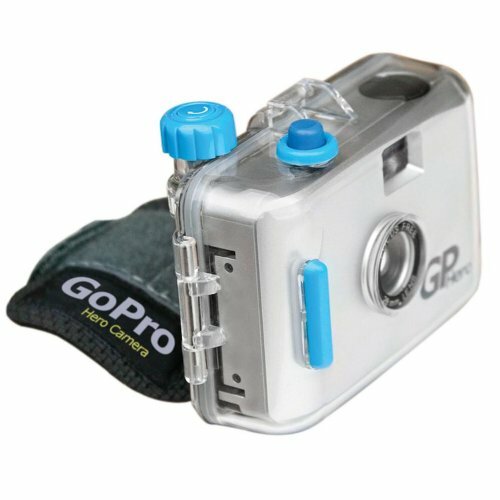 In 2005, GoPro came out with its first camera, the GoPro Hero 35mm, which you can still find floating around on places like Amazon. The camera came with a roll of Kodak 400 film, a clear waterproof case to protect the camera to a depth of 15 feet, and a camera strap to help photographers get those elusive action shots. Sure, there were plenty of phones that had a camera before the arrival of the first-generation iPhone in 2007. However, in terms of having an iconic place in the development of smartphone photography, the iPhone is at the top of the heap. It was equipped with a single, rear-facing camera that sported just 2-megapixels. However, the easy-to-use touchscreen interface on the phone made it quick and easy to snap and share photos. When the App Store was unveiled a year later in 2008, smartphone photography took another leap forward with the advent of being able to add supplemental features to the phone to take better photos, like improved camera apps, photo processing apps, and the like. 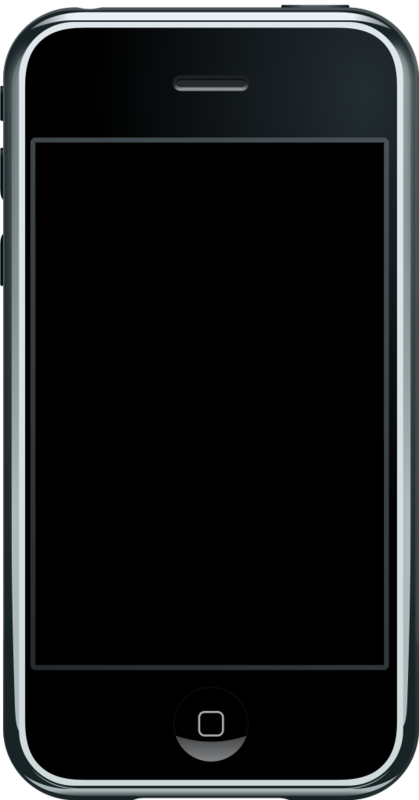 At the time of this writing, we're awaiting the arrival of the iPhone X, a phone that has a 7-megapixel front-facing camera, a infrared front-facing camera for face detection, a 12-megapixel rear-facing camera with both wide-angle and telephoto lenses, and a host of other features that certainly would've been unimaginable to the likes of Niepce, Daguerre, and other pioneers in the field of photography. To say that we've come a long way is an understatement!